Staff is better able to handle flu season and other health needs in the expanded facility that now has a confidential waiting area, nursing triage stations, a pharmacy, treatment areas, a designated lab area, work stations and a private office for the provider. 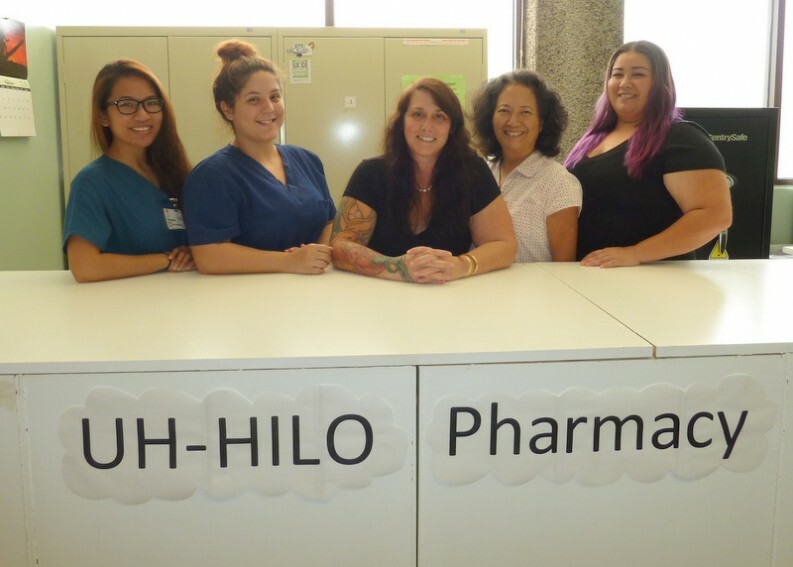 Staff of UH Hilo Student Medical Services stands behind the counter of the UH Hilo Pharmacy. (l-r) Dianne Madamba, BSN Nursing Student; Lauren Cypriano, nursing assistant; Heather Hirata, assistant director; Elise Yamamoto, office assistant; and Livia Carr, RN. Photo by Kara Nelson. 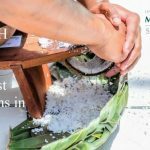 Along with the rest of the country, Hawai‘i is dealing with a worse-than-usual flu season and concerns about a measles outbreak in several states (not Hawai‘i). Helping students at the University of Hawai‘i at Hilo make informed decisions about protection and care, UH Hilo Student Medical Services offers a flu prevention and treatment program, and information about the MMR (Measles-Mumps-Rubella) and other immunizations. Overall, the flu shot is generally 50-60 percent effective on any given year, according to the Centers for Disease Control. But this year, the CDC reports, the vaccination is only 23 percent effective. See Medical News Today, Jan. 16, 2015: CDC: this season’s flu vaccine only 23% effective. Even with the lessened efficacy, the CDC—and the staff at the UH Hilo Student Medical Services—recommends getting the flu shot. Every year, Student Medical Services partners with the UH Hilo College of Pharmacy and the School of Nursing to administer the free influenza vaccines on the Campus Center Plaza. 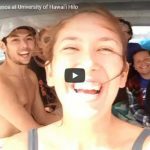 “This raises awareness of the importance of annual flu immunization, increases the number of our community members that are immunized, and is an applied learning experience for those in the health sciences,” says Hirata, noting that administering flu shots provides UH Hilo nursing students essential career preparation. Expansion of the UH Hilo Student Medical Services includes a private waiting area. Photo by K. Nelson. Click to enlarge. Student Medical Services expanded its facilities over the last year, which allows for better care for students. The facility now has a confidential waiting area, nursing triage stations, a pharmacy, treatment areas, a designated lab area, work stations and a private office for the provider. This space allows more room for storage of records and supplies, additional working space, and a private exit. “The most significant improvement would be in the area of privacy and confidentiality,” says Hirata. “The expansion has allowed the Student Medical Services to provide the students with a confidential experience when they access services,” she continues, also stating how the additional space allows a “streamlined environment” for students as well as the staff working there. 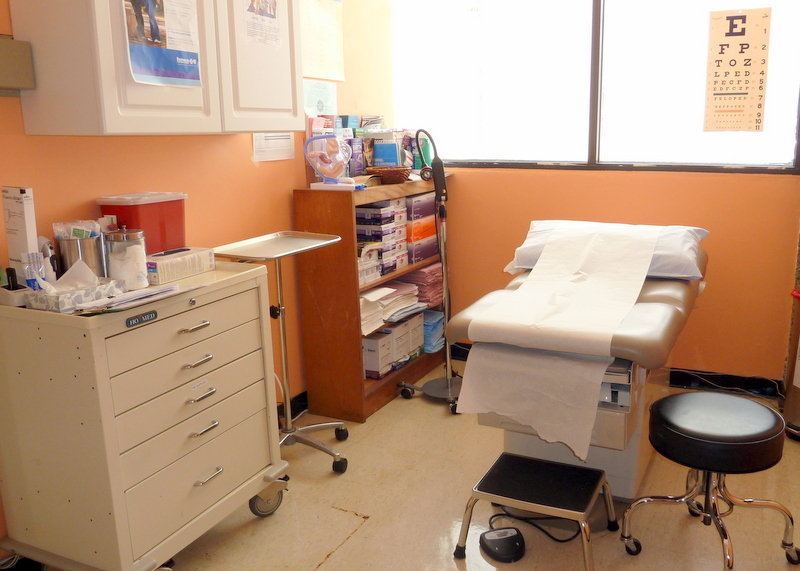 An exam room at UH Hilo Student Medical Services. Photo by K. Nelson. Services offered include first-aid treatment for injury or illness, TB tests, several immunizations, and family planning and reproductive health services. The shot clinic and pharmacy are held on Wednesdays and Fridays, the Medical clinic is held on Mondays, Wednesdays and Fridays, and the family planning clinic is available Tuesdays and Thursdays. (l-r) Heather Hirata and Mimi Pezzuto, instructor of pharmacy practice at the UH Hilo College of Pharmacy, consult at UH Hilo Student Medical Services. Courtesy photo. Student Medical Services’ partnership with UH Hilo’s Daniel K. Inouye College of Pharmacy has proved beneficial. The UH Hilo Pharmacy was created to address these barriers in the college setting. The convenience of students being able to access care and pick up prescribed medications at the same location increases compliance. 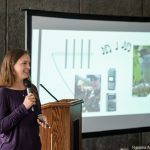 Student Medical Services strives to serve as a method of advancing the health of the students, thereby enhancing the learning environment at UH Hilo, explains Hirata. 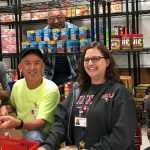 As a UH Hilo alumna and a current student earning a doctor of nursing practice (DNP), Hirata has a passion for serving UH Hilo students and the surrounding community. 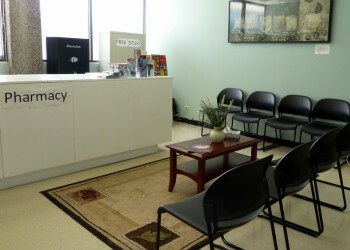 Many of her immediate goals have been accomplished by the expanded clinic space and creation of the in-clinic pharmacy. There also are hopes that one day Student Medical Services can expand even more to better serve the UH Hilo community. Learn more about the services provided at UH Hilo Student Medical Services. 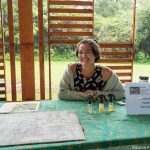 About the author of this story: Kara Nelson is a senior at UH Hilo double majoring in English and Communication. She is an intern in the Office of the Chancellor.